Every once in a while, I like to have a theme for my Frugal Round-up, and since last week's party featured a bunch of fun furniture makeovers, this week, I thought I'd share a few of them in the old round-up. 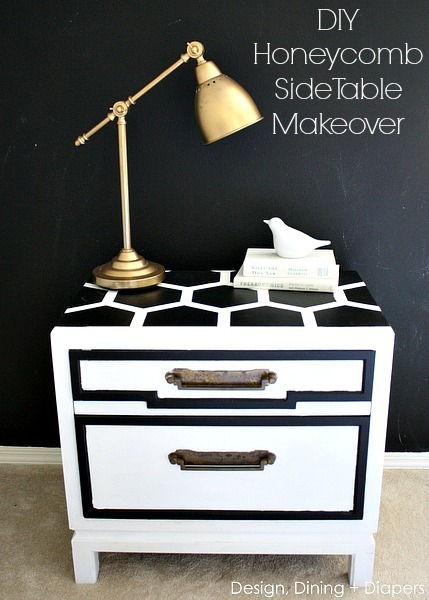 First up, this honeycomb nightstand makeover shared by Design Dining and Diapers is fabulous! I love the dipped-furniture trend and this bent wood chair by Pies and Puggles is adorable! Thrifty Treasures shared a very clever sewing machine table upcycle. This Lego table is brilliant! 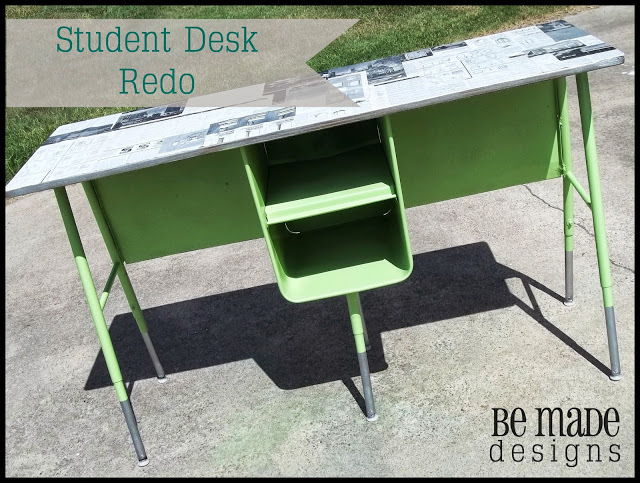 Finally, this mid-century modern desk makeover by Be Made Designs is tons of fun! Lovin' the green! Thanks for another great party!! Have a great weekend! Thank you so much for hosting, have a fun weekend. I'm all about pumpkin flavored everything and I found your pumpkin cookies and had to come back for the recipe cause I forgot to Pin it (doh!) All taken care of now! First time joining the party - thanks for throwing it! Love the dipped chair and the honeycomb table! Thanks so much for sharing! 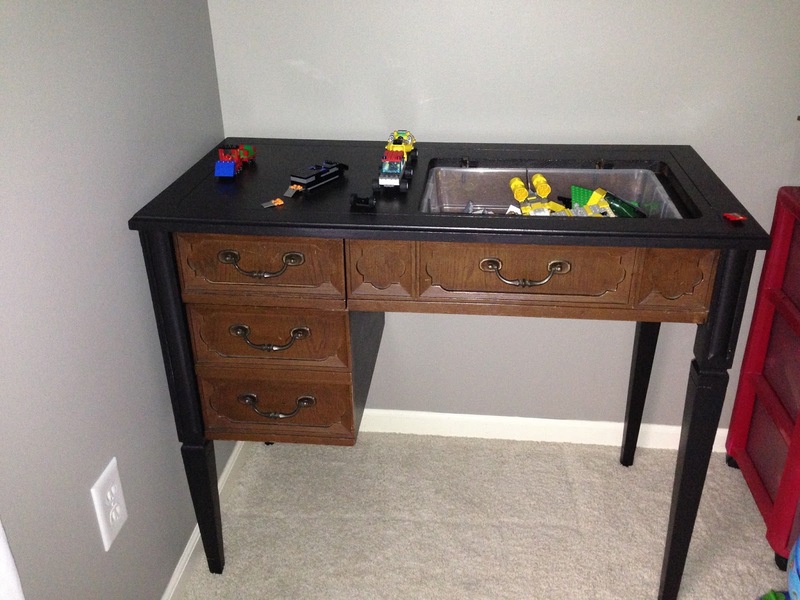 Thank you for featuring my lego desk! 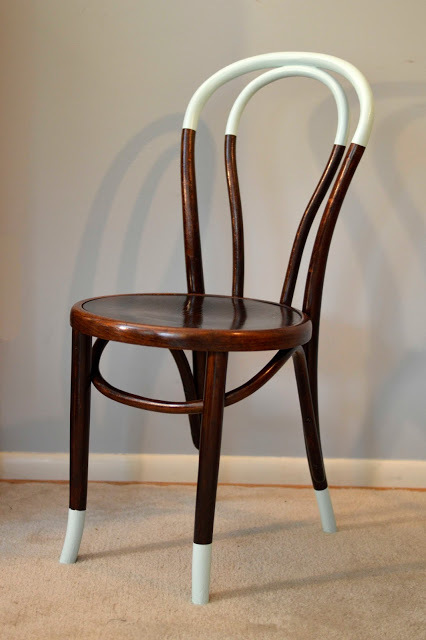 Thanks so much for featuring my dipped bentwood chair! I love that trend too! Thanks so much for hosting every week, Wendy! Have a great weekend! Love the Lego table and dipped chair! Thank you for hosting. That Lego table is freakin awesome! Thanks for the party and have a great weekend! LOVE that dipped chair! It looks like candy. I'm checking out my house to see what I can dip! Thanks for the party! Fantastic party! Thanks for hosting all these wonderful ideas. I know I'm late to the party, but better late than never right? Thanks :) Have a great Sunday.